Anyone who has been smoking weed for a while knows it is far easier to blow the ultimate smoke ring compared to trying to do the same while smoking cigarettes. There is nothing cooler than hanging with a group of friends and being able to puff a ring in a perfect circle that seems to float through the air. The most important thing to do first when getting ready to blow the perfect smoke ring in be sure that there is no draft or blowing air in close proximity. The air must be still in order to maximize the smoke ring potential. Prepare your weed and ensure you have a decent burn going with thick smoke. Take a seat and relax, take a few slow drags to get yourself prepared. Just like whistling, you need to practice until it becomes second nature. Inhale deeply and focus on keeping as much of the smoke in your mouth as possible. In order to get this down right, you can make a face to help get your muscles in the habit of making the right gestures. Open your mouth and keep the teeth covered with your lips, similar to impersonating an old person with no teeth. Leave a small opening in the mouth in a shape of “O”, but don’t go too small or the rings will look like just puffs. Here is the part where most get frustrated and give up. If you can learn to master this step you will blow perfect smoke rings at will. Imagine trying to clear out your throat, then release a small pocket of breath. Focus on controlling the opening and closing of the throat, keep it intentional and short, like light coughing from the back of your throat. 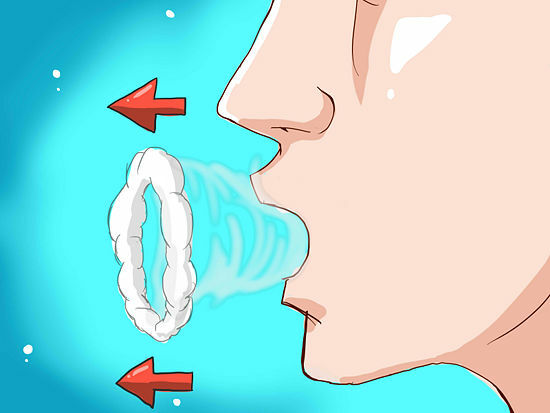 After you release the breath of air, gently close the mouth which will help to thicken the smoke ring. If you can imagine yourself saying the word OUCH, you will get the motion down that helps to formulate the shape of the rings. The key it to practice these motions before you try with smoke. 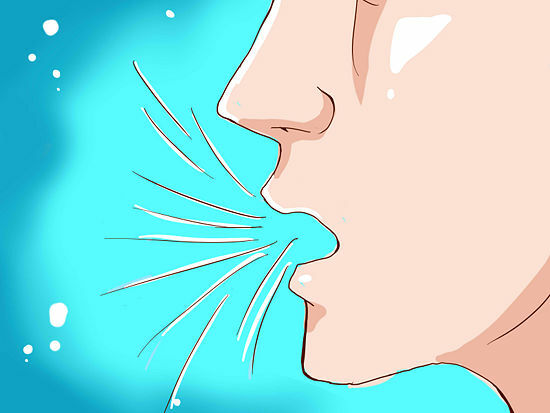 Just keep manipulating your throat and then making the movements with your mouth. 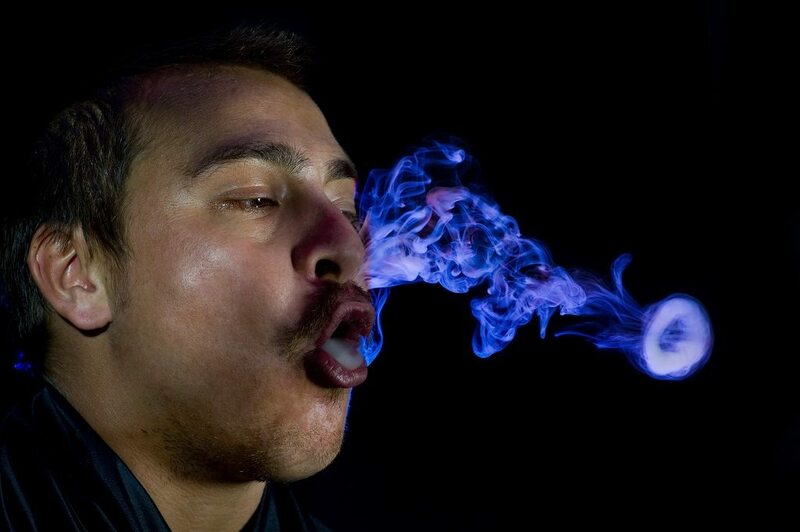 Once you can master the movements, the smoke rings will simply puff out of your mouth at will. Once you release the perfect smoke ring, allow the small areas of smoke near your mouth to dissipate before shooting out the next ring. Once you see a perfect circle of thick smoke gently floating in front of you, then you will know you got it right. Take the time to repeat the process until you can blow out a nice circle of smoke consistently. Now that you have gotten an understanding how to blow the perfect smoke ring, you can ramp up your skills. Now that you can send the smoke ring in any direction you want, try shooting out one ring, followed up by another so they collide in the air in front of your audience. Do you know a friend or two that will benefit from this tutorial? Go ahead and share it with them. Photo from: macky_ch / depositphotos.com.